New Delhi: Mark your calendar as the trailer of Salman Khan and Katrina Kaif-starrer Bharat is coming out on 24 April, and will also be showcased along with Avengers: Endgame. The film will hit screens on 5 June. The director of the film, Ali Abbas Zafar shared the news on his Twitter handle.The filmmaker also revealed that the movie is in its final stages of post production. In January, the makers of Bharat had unveiled the first teaser of the film. 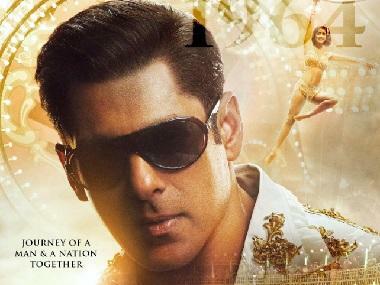 The one-minute and twenty-six-second teaser showed the Dabangg actor in different avatars, narrating the story of his character's life. Interestingly, even though the teaser introduced different shades of Salmans' characters, it did not reveal anything about Katrina's character. Previously Salman and Katrina were seen together in the films Ek Tha Tiger and Tiger Zinda Hai. Katrina was roped in for the film after Priyanka Chopra decided to walk out. The upcoming film also starring Jackie Shroff and Sonali Kulkarni is a remake of the 2014 South Korean blockbuster Ode to My Father. According to reports, the Bajrangi Bhaijaan'actor will be seen sporting five different looks in the film spanning 60 years, including a crucial part which will showcase the actor in his late 20s, looking much leaner and younger.